Today with sample tutorial let’s learn how to sew beautiful tote bag with Lisa Lam. Of course you can change material and colors as you like. It’s very useful and spacefull and will help you at many situation. You can take many things with this tote bag. It’s not difficult to sew and you must try. It’s also perfect for beach and sunny wather. With this bag you can take with you towel, sunglasses, hat for beach and cell phone. You will not regret about wasted time for sewing this tote bag. Please enjoy. 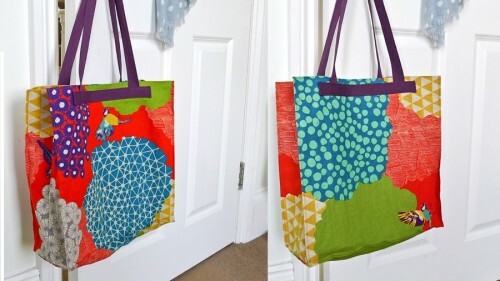 Thanks to Lisa Lam for this beautiful tote bag tutorial.